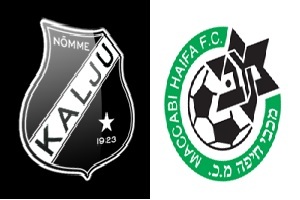 Kalju will play against Maccabi Haifa in the second leg of the Europa League - Qualification stage on Thursday. The first meeting ended with a draw 1-1. It was definitely a good result for Kalju and their fans really hope that the team may get to the next round. Still in my opinion Maccabi Haifa is a lot stronger than any Estonian team. The result is definitely not in their favor and not showing their abilities at all. It will force the Israeli team to play for a win to qualify further. They know that playing in the Europa League will have financial benefits and will do so by winning away from home. The odds are really good and I will gladly take advantage of them.